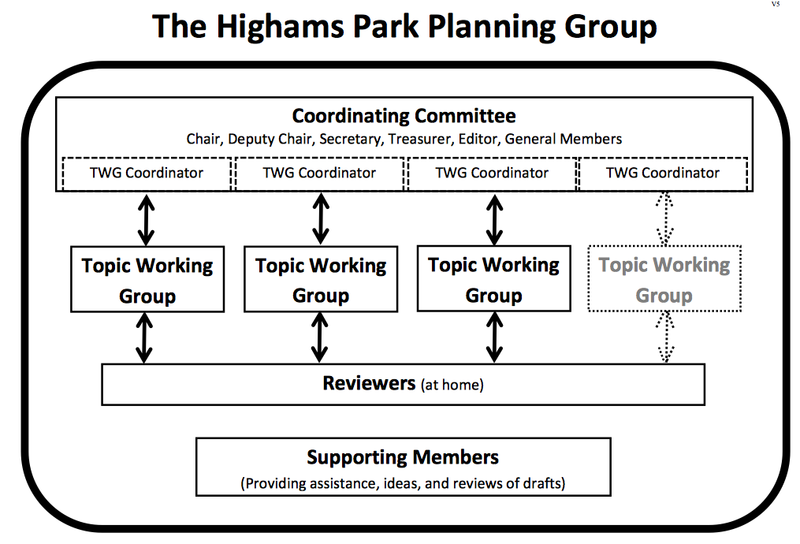 The main task of creating the plan falls to the Topic Working Groups (TWGs). 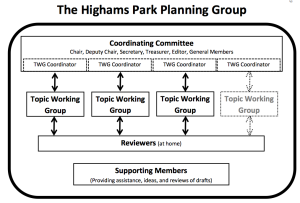 There are currently seven TWGs, each comprising a group of Members who meet regularly to work on a particular topic in relation to the plan. Each TWG has its own chair. The ideas and proposals from these groups will be fed through to the Coordinating Committee who will collate together the whole plan. The TWGs will refine and expand their ideas into practical, proposals with supporting evidence. If you are too busy to attend regular meetings you can be a Reviewer Member of a TWG. Reviewer members do not attend TWG meetings in person. Reviewers are members who register themselves with one or more TWGs, but do not attend the TWG meetings (perhaps due to home or time commitments). These members communicate (primarily by email) via the chairs of the TWGs. Reviewers will review and comment on the output of the TWG meetings and are free to inject ideas and thoughts into those meetings. Please note: there were originally eleven TWGs but due to overlap between different groups the number has been reduced to a more manageable seven TWGs.